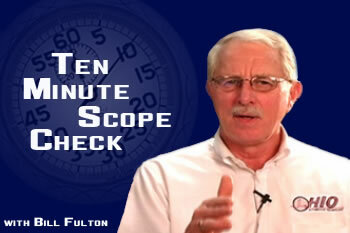 Would you like to solve engine performance and misfire issues in 10 minutes? AVI can help you diagnose these problems quickly so you can make more money. This course with Bill Fulton will help you become more profitable by showing you a 10 minute diagnostic strategy using your DSO (Digital Storage Oscilloscope) and secondary waveforms to resolve these issues. Although a scan tool will look at sensor data, it will not look at secondary ignition and Bill Fulton shows you tests that can’t be done with a scanner. He covers problem areas such as rich/lean fuel conditions, poor coil performance, erratic triggering problems and secondary insulation breakdown which can be all detected with a DSO.